Technology is constantly changing and adjusting how we do things in our day to day lives. During the [D]elve step in the ENDREA Method™, one focus point is industry trends. Researching what is new and up and coming will help you differentiate yourself from your competition. But technology is not the only focus during this step, to keep you ahead of the rest. Communicating with Your Target Market: Has your target market communication changed in any way? Things like social media and text messaging have changed the way we communicate with each other. Even though this technology has been around for years your demographic may not have evolved with these changes the same way as other demographics have. Look into the trends and what they predict into the future, so you can stay ahead of your competition. Politics has also changed the way individuals communicate with each other, do you need to adjust your tone or the language you are using to reach your target. New or updated technology: Are there new tools in your industry to help reach your target, organize your business, complete task, etc.? Constantly a new technology company starts or updates their services, delve into the technology of your industry to see if there is an easier or better way to run your business. If you are in the technology industry, research the new abilities that are out there. Should you jump on the cryptocurrency bandwagon, secure your data on blockchain, etc. New Competitors: Is there a new competitor that has come into the market that is very evolved and trying to shake up your industry? Delve into what they are doing and how they are doing it. There may be things that you can implement that fits with your brand. There could also be ideas that you take and make them even better within your company. Make sure not to try and just mimic what they are doing because you could lose yourself and your brand in the process. Always stick to you and your brand. Financial Markets: Do you see a big financial market change in your industry? If you are in the Real Estate industry you should be watching interest rates and the market often. Utilize that information to adjust within your company. Adjust things like; how you talk to your target, how you reach your target, adding different services to your portfolio, etc. This isn’t only important in the Real Estate industry. If you sell big-ticket items and see a recession in the near future, you might want to start looking at bringing in more cost-efficient alternatives, so your clients have other options, but remember to stick to who you are and your brand. The [D]elve Step is very important in the success of your Business Development Strategy. The team at ENDREA can help do the research for you or help guide you in the right direction. 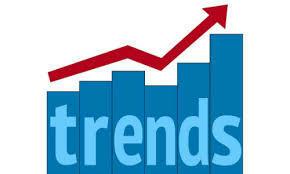 What trends do you see changing in your industry?